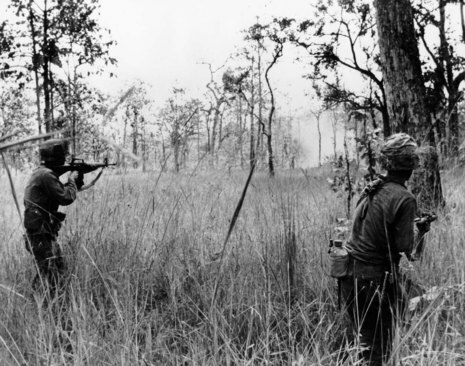 The Battle of Ia Drang was one of the first major battles between the United States Army and the People's Army of Vietnam (PAVN) during the Vietnam War. 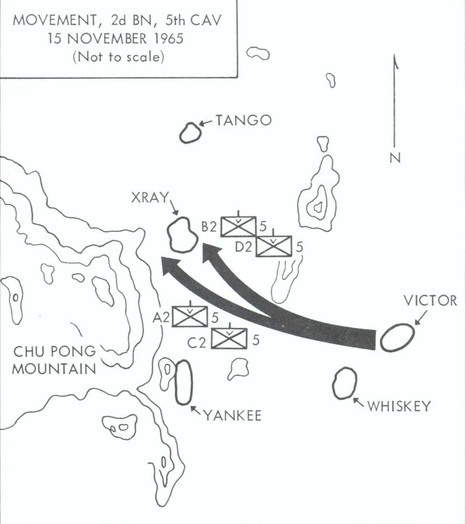 The two-part battle took place between November 14 and November 18, 1965, at two landing zones (LZs) northwest of Plei Me in the Central Highlands of South Vietnam. The battle derives its name from the Drang River which runs through the valley northwest of Plei Me, in which the engagement took place. "Ia" means "river" in the local Montagnard language. Representing the American forces were elements of the 1st Battalion, 7th Cavalry, the 2nd Battalion, 7th Cavalry, and the 2nd Battalion, 5th Cavalry of the United States Army. 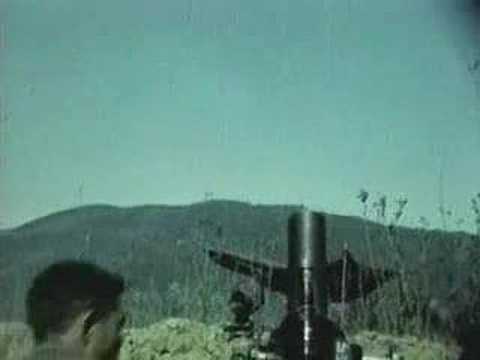 The Vietnamese forces included the 33rd, 66th, and 320th Regiments of the PAVN, as well National Liberation Front (NLF) of the H15 Battalion. Both sides suffered heavy losses and both claimed victory. The U.S. lost 234 dead, with 242 wounded; November 17 was the deadliest ambush for Americans in the entire Vietnam War, with 155 killed and 126 wounded. The battle is the subject of the critically acclaimed book We Were Soldiers Once… And Young by Harold G. Moore and Joseph L. Galloway. In 2002, Randall Wallace depicted the first part of the battle in the film We Were Soldiers starring Mel Gibson. 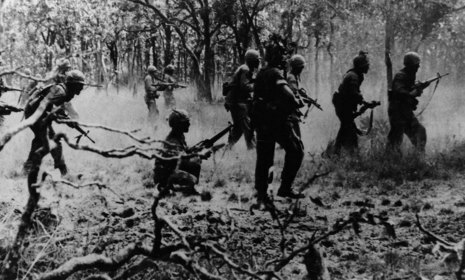 The National Geographic Channel has also aired a program titled "Day Under Fire: Vietnam War" which focuses mainly on the battle of Ia Drang. 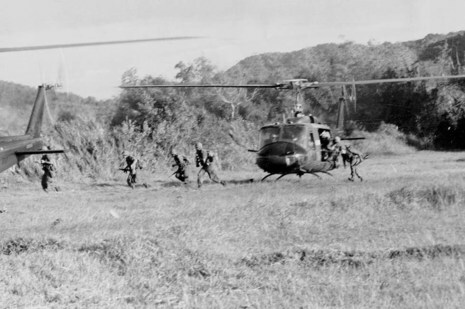 The battle of the Ia Drang Valley [IDV] was actually of series of engagements between the US 1st Cavalry Division (Airmobile) and the B-3 Front, North Vietnamese Army (NVA) from 10-18 to 11-24-65, Many considered it to be the US Army's 1st battle in Vietnam. It was certainly the 1st battle between of US division operating under of field force headquarters and 3 NVA regiments operating under a front headquarters. 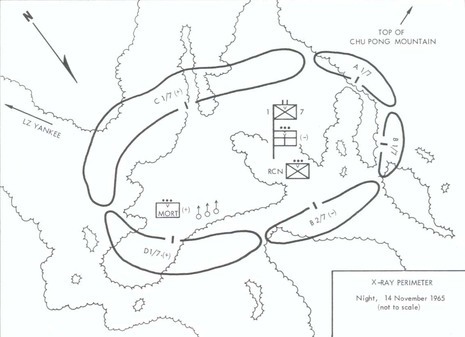 It may also have been the last battle between NVA and US forces of equivalent size.